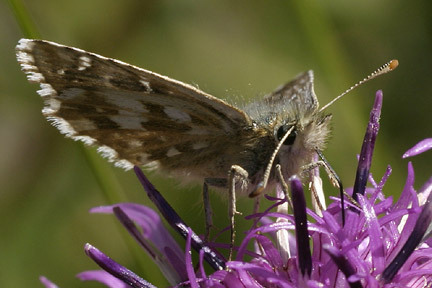 All these Skippers have been photographed in the middle of August in Val d' Hérens (Switzerland) between approximately 1600 and 2400 meters. According to my information the only species that fly in this area in this period are P.andromedae, P. cacalinae, P. alveus and P. carlinae. P. serratulae could be possible too, but than it would be rather late! 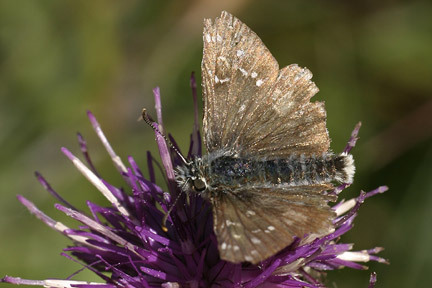 Having pictures of both upperside and underside is no guarantee for determination. 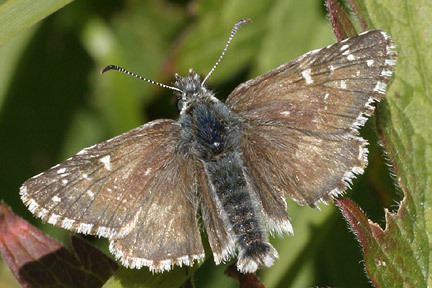 The underside hindwing shows a lot of white: prominent white spots at the base and the discoidal white band seems to be complete. Because of this all of the obvious candidates are ruled out except for P. alveus. 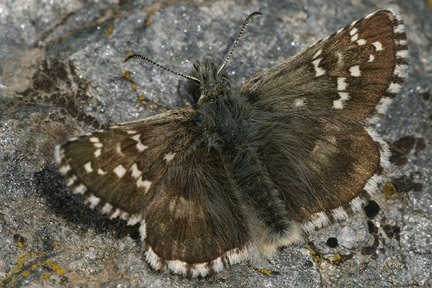 But for P. alveus the markings on the upperside of the forewing are eighter to thick or to thin (centralhispaniae), in the latter case you would expect white marking on the upperside hindwing too! 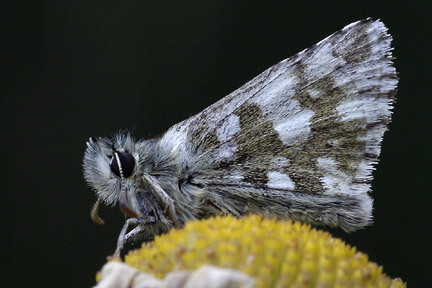 This Pyrgus was flying just above tree-level. It is probably a P. carlinae based on the c-spot on the upperside forewing and the rectangular spot on the underside hindwing. Again a difficult one. Flying just above tree-level. It seems rather dark and there is no clear c-spot. I would say P.serratulae. 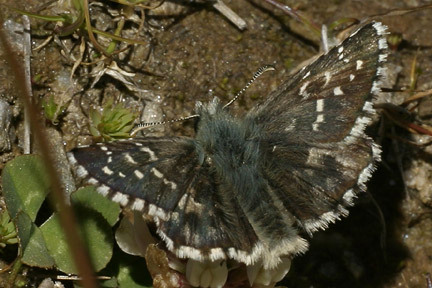 This Pyrgus was flying in a large open spot with heath and a small stream. 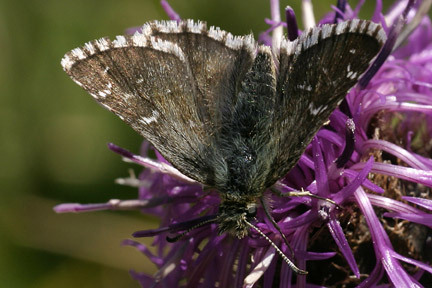 The marking on both upperside forewing and hindwing are relatively prominent. To be honest I don't think it is one of the species mentioned above. My best quess would be P. onopordi. I found this Pyrgus well above tree-level. To me it seems to be P. carlinae. 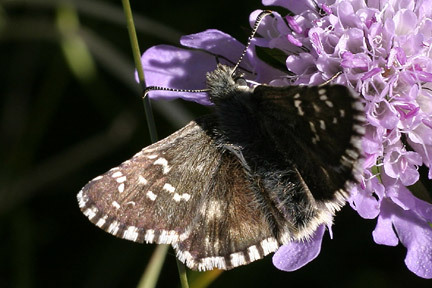 I merely show this butterfly to show the differance with Pyrgus-006. 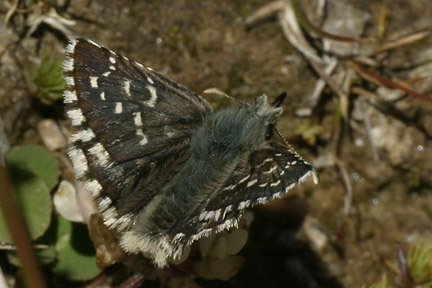 The spots on Pyrgus 006 on the upperside hindwing are much more faint compared to Pyrgus 007/008. 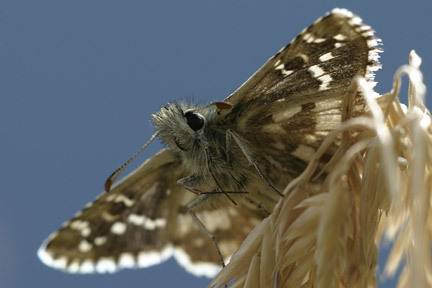 This and the next Pyrgus were flying just above tree-level. First I sought this was P. serratulae, but it misses both the oval spot at the base and rectangular spot in the diccoidal band. 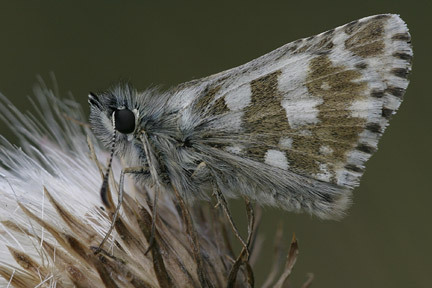 Like the former Pyrgus I really don't have a clue! 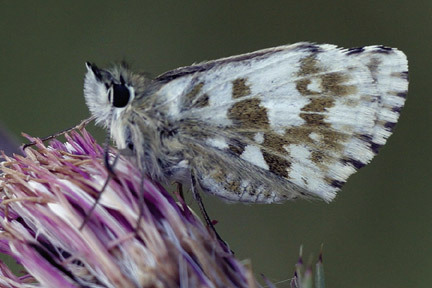 This Pyrgus was flying (together with for example P. phoebus) in an open area with a small stream near the edge of a wood. This could be P. carlinae but it misses the c-spot. Maybe P. serratulae? 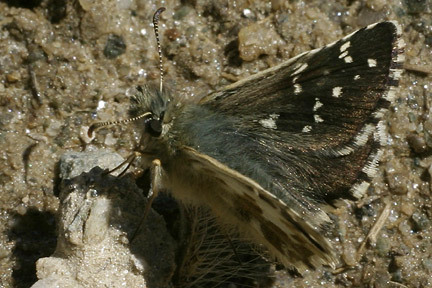 This butterfly was flying in the same area as the Pyrgus above. Again this could be as well as a P. carlinae as a P. serratulae. Any suggestions?